ESNG has received top honors for its safe practices from the American Gas Association for not one, not two, but for ten since 2003. We are very proud of this recognition and continue to strive to be an industry leader. We are passionately committed to safety in the communities we serve – after all, we live here too! PIPELINE SAFETY... IT'S A JOB FOR EVERYBODY! Learn all you can about natural gas. The more you know…the more you will be safe. Use your nose. If you ever detect even a small amount of natural gas in the air, don’t stay – get away. Then, contact your natural gas provider. 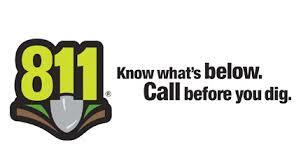 If you don’t know that number, dial emergency services, 9-1-1. Keep the areas around all appliances and equipment clean and unblocked to allow for proper airflow. Follow manufacturer instructions for the care and use of gas appliances or equipment. Ever let small children play with or near natural gas appliances or pipes, including the knobs on the oven or cook top. Use your stove or oven for anything other than cooking (for instance, to heat your home) under any circumstances. Move or install a gas appliance or change the connector in any way without professional service. Use a space heater UNTIL you are sure it has been vented properly. If using a vent-free heater, ensure the automatic cut-off switch is operational. Install a gas appliance yourself, unless you are a qualified contractor. Instead, you should always seek professional assistance. Ever store household chemicals or combustible materials near gas appliances. Above all, don’t forget to learn what to do if you ever smell natural gas in the air: SMELL GAS? ACT FAST!